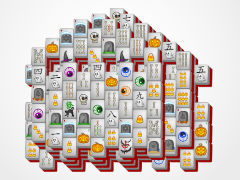 If the mean mega ghost on Halloween-Mahjong is to much to handle, try your hand at a smaller version, Small Ghost Mahjong. 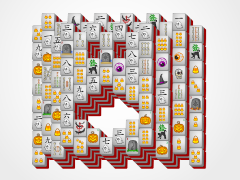 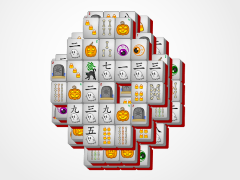 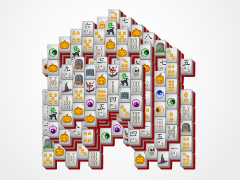 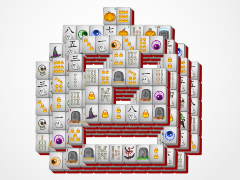 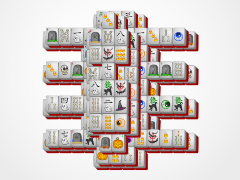 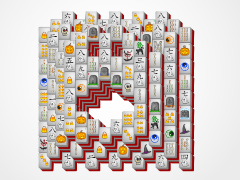 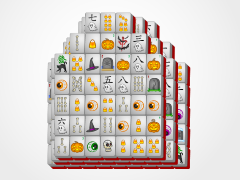 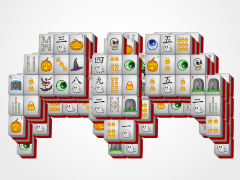 This fun mahjong tile matching game is sure to spook you happy! 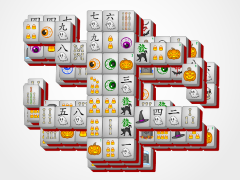 Match mahjong tiles to their identical pair, or use seasonal/flower tiles to match when you're stuck. 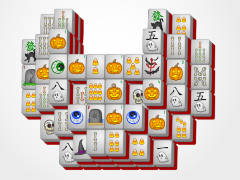 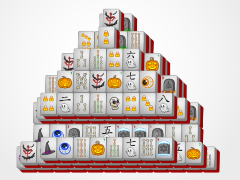 Halloween - Mahjong's all new hint, undo, and star system are sure to keep you howling for more fun this fantastic time of year! 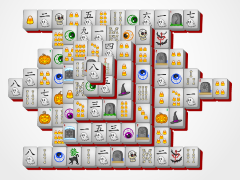 When you feel confident with this mahjong solitaire layout, be sure to move on over to the Mean Ghost layout and try your hand at something a bit harder!